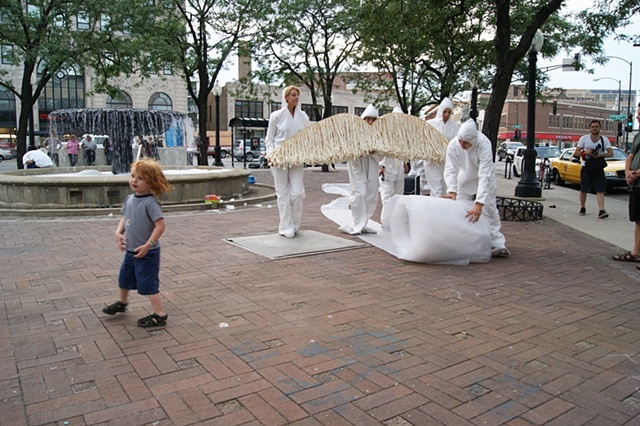 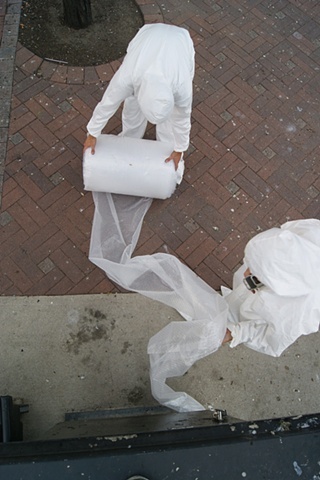 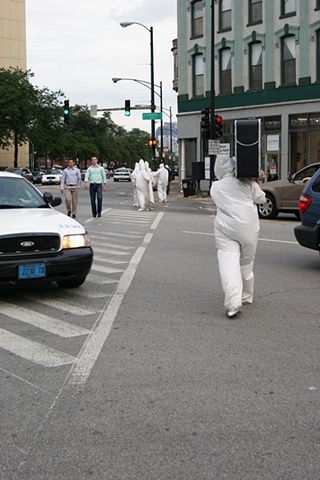 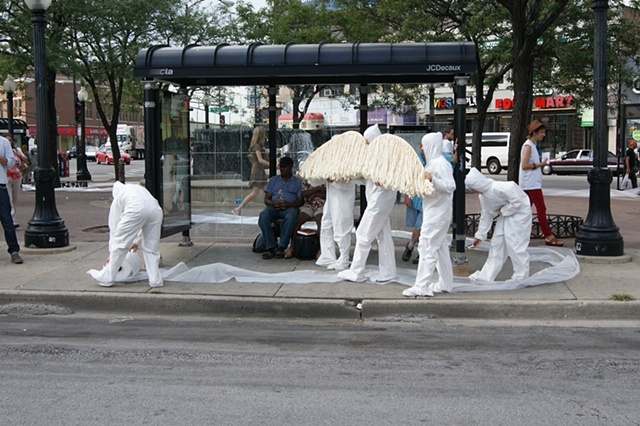 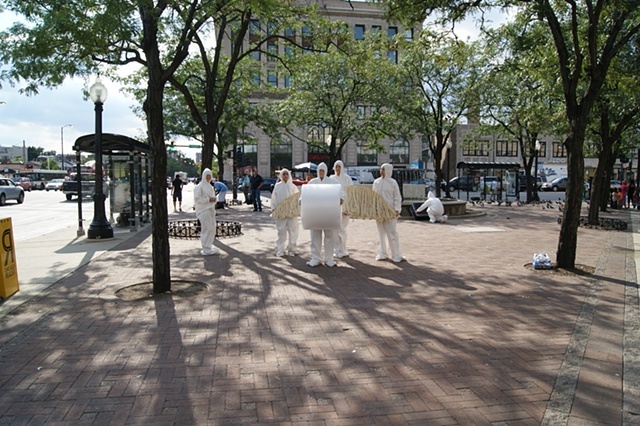 On August 12, 2011 the Polish Triangle in Chicago will be declared Meg Duguid’s performative space from 5-7. 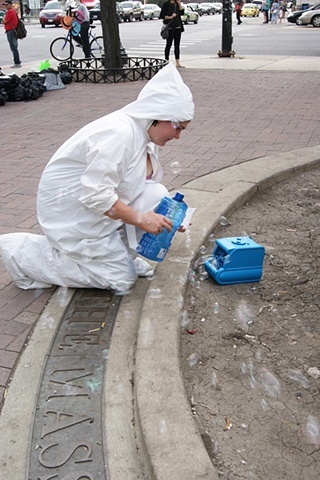 Soap was poured into the fountain in the triangle while bubble machines spewed bubbles into the space. 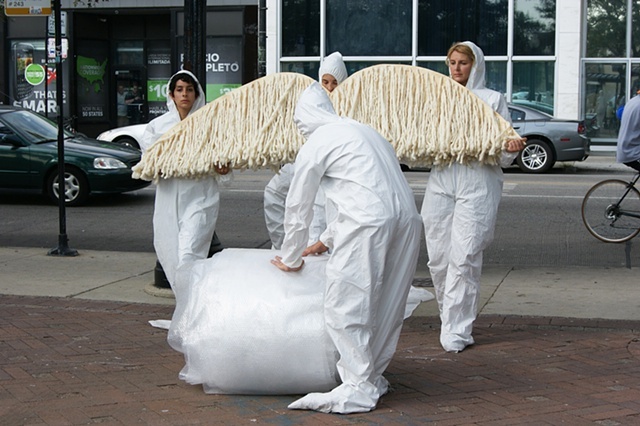 A three-person mustache, a mustache that is so big 2 people must carry it so a third can wear it, walked on bubble wrap that was laid down throughout the triangle. 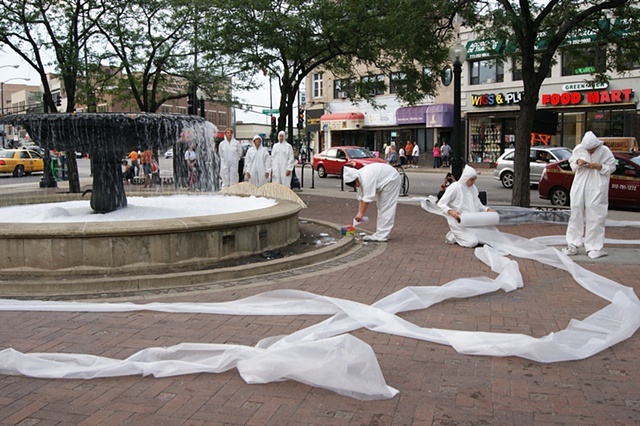 The documentation of this work was the sound work Bubbles Divided by Traffic.